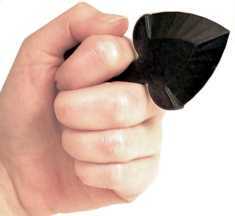 Remember how the self defense experts use to tell you to place your keys between your fingers and punch. Now there is something much better and more effective. Carry the Heart Attack on your key chain and be ready to protect yourself anytime. 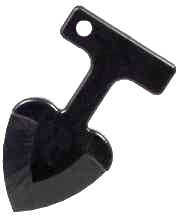 The Heart Attack is small (3.5 inches long) and made of tough plastic. Hold it between you fingers and punch! Attackers beware!